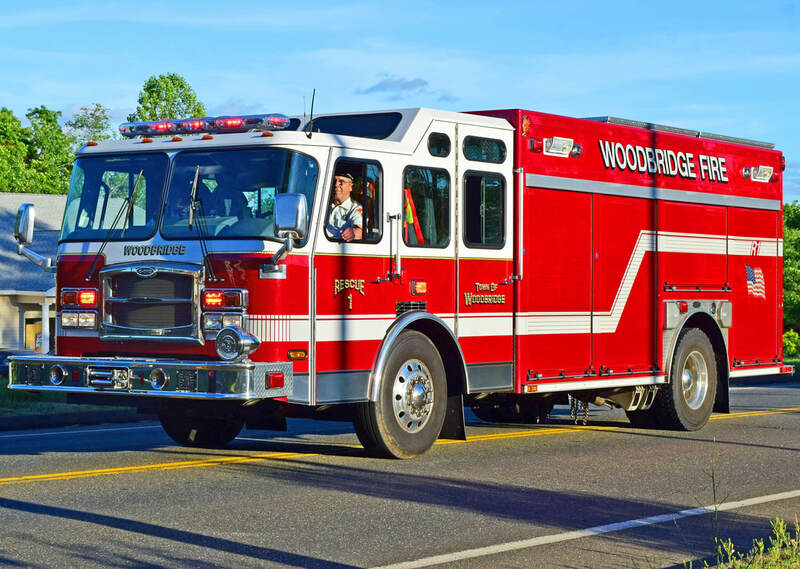 This is the page for the Woodbridge FD. 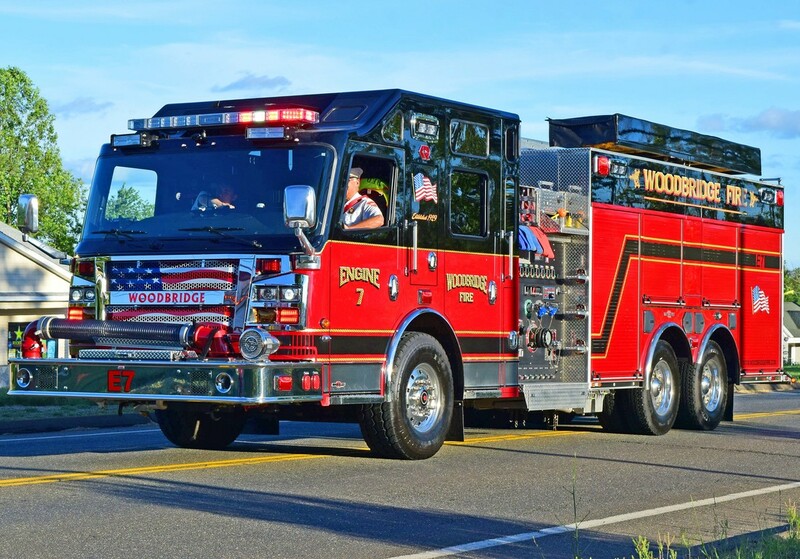 They have 2 engines, 2 engine tankers, 2 tankers, 1 tower, 1 tower ladder, 1 rescue truck, 1 utility truck, 1 antique and 1 station. 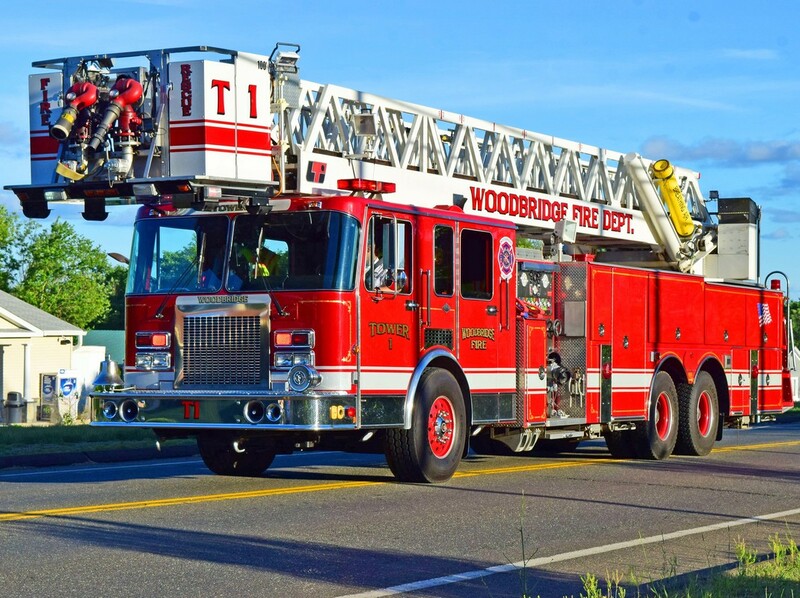 Woodbridge's Engine 2, a 2001 E-One. 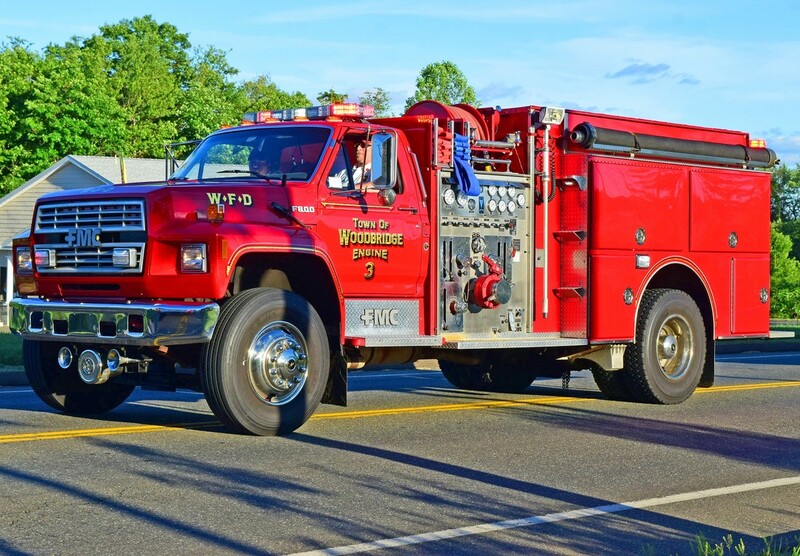 Woodbridge's Engine 3, 1989 Ford F800/FMC. 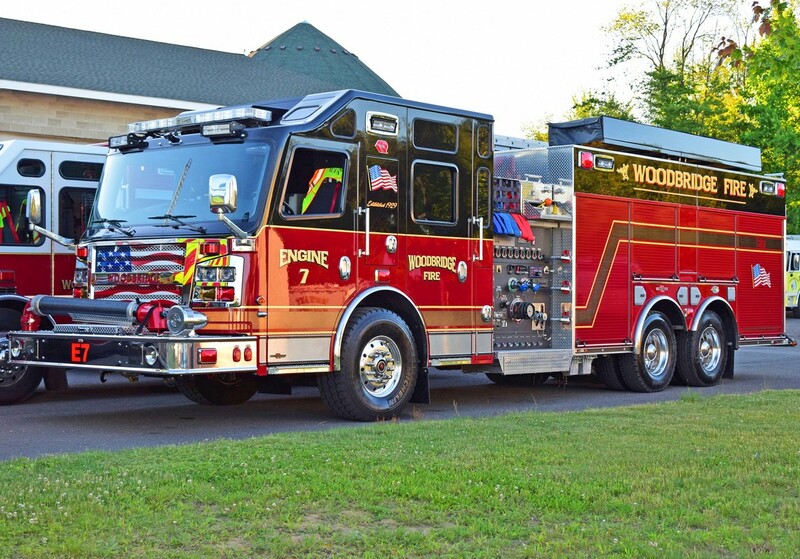 Woodbridge's Engine 7, a 2015 Rosenbauer Commander. 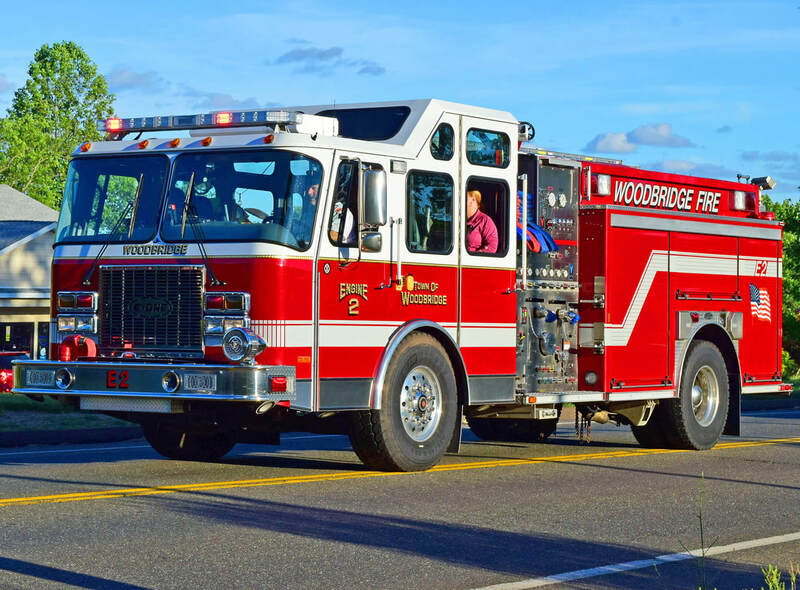 Woodbridge's Rescue 1, a 2008 E-One. 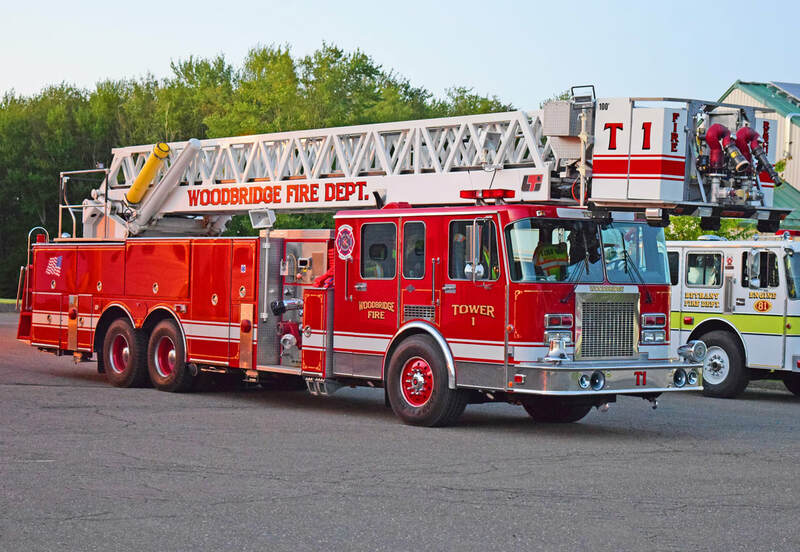 Woodbridge's Tower 1, a 1991 Spartan Gladiator/LTI 100ft RMA quint (ex North Thompsonville).